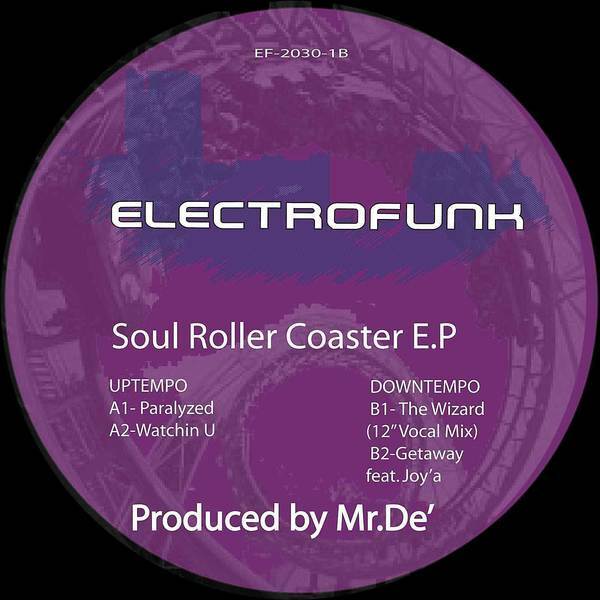 Detroit mainstay Mr De' moves his Electrofunk imprint into the digital realm with a five track digital-only release. 'Paralyzed' marries sensually floating synth keys with clapping booty-groove rhythms and 'Watchin U' works out R'n'B flavoured vox inna 'Sensual Seduction' style to complete the "Uptempo" tracks, while the "Downtempo" cuts flow on a house-tempered Detroit flex with jazzy notes on 'The Wizard' and soulful R'n'B on 'Getaway'. Oooh Baby.